When the kids started selling kaffir lime leaves a the Farmer’s Market, no one knew what to do with them. We printed out our favorite Evil Jungle Prince recipe (included below) and will now try adding the recipe for these nuts. 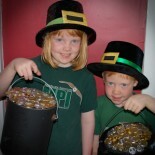 We are hoping sales pick up! When cooking with kaffir lime leaves, remove the stem, roll the leaves in a tight bundle, and slice finely. 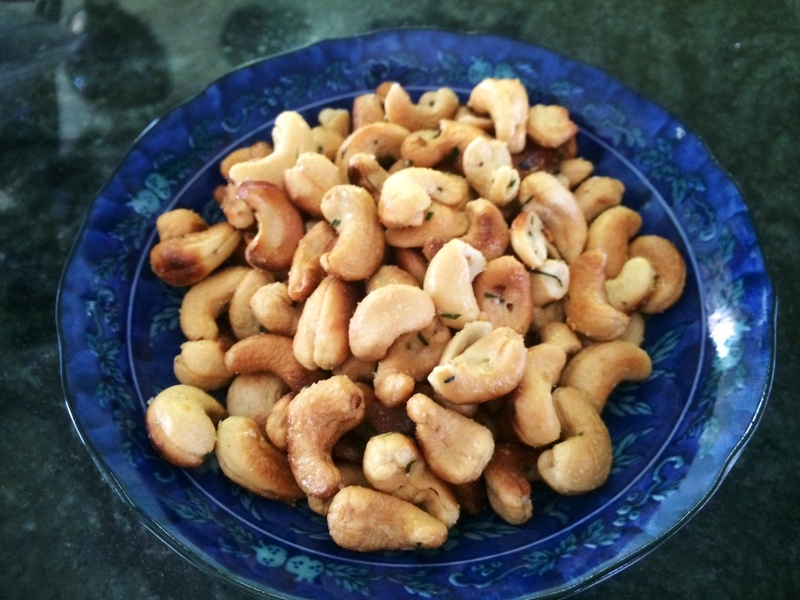 Heat the oil in a pan and roast the cashews, tossing every once in a while, until they are godeln brown. Let the cashews cool, then sprinkle the rest of the ingredients on top. Thanks to rachelcooksthai.com for the inspiration. And our favorite Evil Jungle Prince recipe – the reason we planted a kaffir lime tree and some lemongrass in the first place! Cut chicken in to thin strips (approximately 2 inches long). Grind together peppers, lemongrass and kaffir lime leaves in a mortar or food processor. Heat oil to medium-high in a medium saucepan and add peppers, lemongrass and kaffir lime leaves mixture, sautéing for 3 minutes. Add coconut milk to the pan and stir well, continue cooking for 2 minutes. Add chicken to the pan and continue cooking for 5 more minutes. Reduce heat to medium-low, stir in fish sauce and basil and simmer for 1 last minute. Serve atop the bed of cabbage and enjoy. This entry was posted on April 24, 2014 by mdaucello in Il Gardino, Our Garden, Recipes and tagged cashew, kaffir lime, nuts.